This battle between cat people and dog people has gone on for long enough! If there is anyone who is qualified to lead peace talks with these two groups...it is you! You love those loyal, happy dogs and those independent yet cuddly cats equally! And why not? There's plenty of room in your heart for both puppies and pussycats. 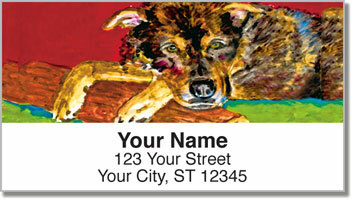 Dog & Cat Address Labels from CheckAdvantage feature adorable photographs artistically altered to create a very colorful design. 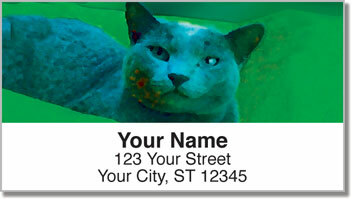 Stick them on every envelope as the first step toward finding common ground among cat people and dog people! These labels will save you a lot of time. 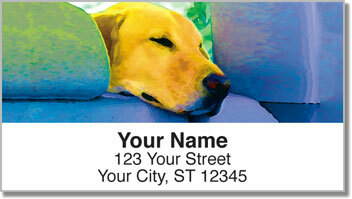 Plus, they can also be used to mark all sorts of personal property with your name and address. 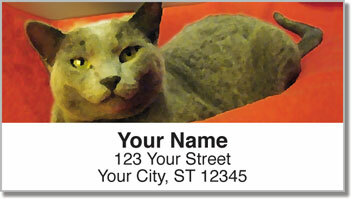 Order your own Dog & Cat Address Labels now! They're also available as matching checks!